It's actually quite simple: the strings (EADGBE) each correspond to a certain (white) key of the piano keyboard. For example, the E is the white key at the end of a group of two black keys (see the blue circle below). Which E key (i.e. which octave) can usually be heard, but on most pianos the second E from the bottom corresponds to the lowest E string of a guitar. Then, the number in the tab is just the number of half-tones (white and black keys) you need to go up. E.g. the first note in your tab is a 6 on the D string. 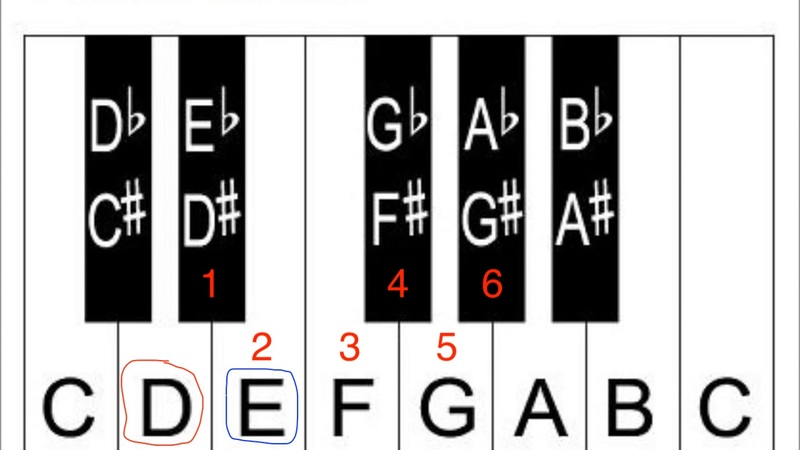 If you go up 6 keys from D, you end up on the black G#/Ab key. See the red marks below. Not the answer you're looking for? Browse other questions tagged guitar piano digital-piano or ask your own question.